Everyone has his own specific vocation or mission in life. Therein he cannot be replaced nor can his life be repeated. It is impossible to find one fingerprint that resembles another. Every fingerprint is unique. 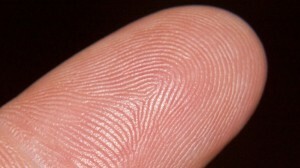 The number of lines in the fingerprint is equal to the number of arteries in the human body. Every artery feeds one line in that finger. Each line follows an artery. What a magnificent creation we are! This is why I love the science of hand analysis so much! It is an honor and privilege to share the exquisite beauty of each persons divine blueprint with them. What a joy when I get to remind them of their magnificence and to help them find their special task, mission and passion.